ROTTERDAM, Feb 19 (Reuters) - Roger Federer outclassed Argentina's Juan Martin del Potro 6-1 6-4 in the final of the World Indoor Tournament on Sunday to win his first title of the year. "The first set I really was rock solid, while in the second it was more tight and he had his chances," Federer told reporters. In the second set, a break in the sixth game proved sufficient for Federer to put his name on the winners' board for the second time following 2005. With his outstanding performance in the final the 30-year old Federer made clear that speculation about retirement is inappropriate. 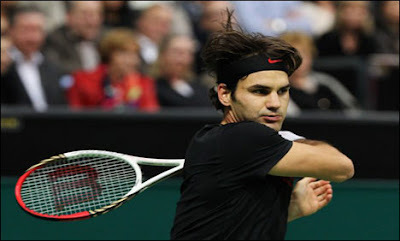 Federer said that even during a meeting with former Dutch national soccer coach Marco van Basten it was discussed and that Van Basten told him to continue as long as he can. The Swiss said: "I think it has to do with when you turn 30 people think you might retire instead of considering that you are on two-thirds of your career." He added: "Andre Agassi was 36 when he retired so I will be a few more years on the tour."